This was a book suggested to me by a friend of mine seven years ago because of my ‘far from mainstream’ taste. It is also to do with the fact that the story was based out of Afghanistan, a place that most of us know more through international media than stories from the locals. Coming to the plot, it was about the Afghan past catching up to now successful US based writer, Amir. He grew up in Kabul before the Soviet invasion, with his father and his best friend, Hassan, the son of his father’s domestic help, Ali (of Hazara ethnicity). Unlike the traditional Pashtuns, Amir was more interested in writing and storytelling. 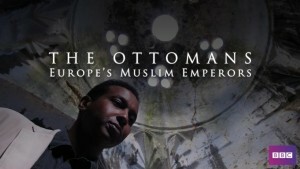 It was Hassan who particularly enjoyed Amir’s stories as the former was illiterate. Amir’s father was not encouraging of this hobby but was encouraged by his business partner, Rahim Khan. 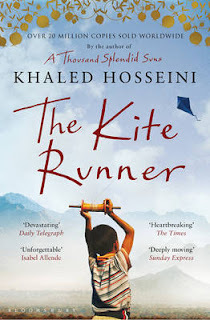 The big event in Kabul for young boys was the Kite flying festival – where one flies the kite and the other retrieves a kite that falls (known as The Kite Runner) lending the book its title. While Amir and his father moved to the United States after the Soviet Invasion, he had left behind a past in Afghanistan which he did not want to be reminded of, until one day, he is summoned by Rahim Khan to visit him in Pakistan. This is the second book that I am reading from an author with a Pashtun background and similar to the previous (I am Malala), the book brings out the gradual change in the society over time. Amir grew up during times of relative peace and his father while not rejecting religion, rejects fundamentalist notions and believes ‘mullahs’ to be the biggest threat to peace. At the beginning of the plot, it was normal for them to watch films in Farsi or Hindi, in Tehran or Peshawar. However, this eventually changed with time with the Soviet invasion followed by the Taliban takeover and this change was brought out well and in detail. The character of Amir was interesting, considering he was not the normal superhero protagonist. He had no extraordinary abilities and his expertise in the kite flying festival was also largely attributed to Hassan. He is also not someone who faces his problems and prefers to stay away from them as much as possible. These traits make it difficult for any reader to develop a particular sympathy for Amir. However, the author was successful in keeping the reader engaged with Amir till the end of the story. I also appreciate the author taking you through different timelines, the plot grows with Amir; who happens to be growing up when Afghanistan’s fortunes were going downhill. If the reader is not from South Asia, The Kite Runner is not just an amazing story told to you but also a book that gives you a glimpse of Afghanistan’s history, the divisions in the society and the culture at large. The plot had however slowed down when Amir and his father moved to the United States and remains so till one gets to the final third. The final third, while it was interesting with Amir’s convictions and memories challenged at every moment, parts of the action sequences could be equated with an Alistair MacLean novel – unbelievable and sometimes, beyond logic. There were instances were Pashto was used for an entire phrase (though the author provided translations in most cases). Since I speak a closely related language, it was substantially intelligible but it could have been difficult for other readers, at times, even annoying. On the whole, I would say that The Kite Runner is a book that I decided to read long ago, but waited for long. Notwithstanding that, I would say that it was worth the wait – it was a complete package, the story of a boy growing up, amidst crisis, get of it and then the past comes back to get you. 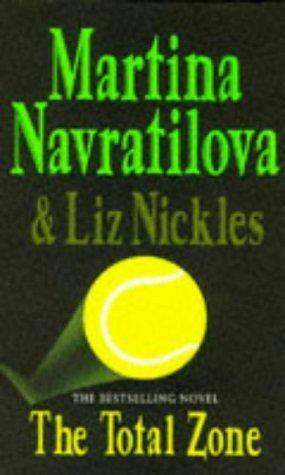 Considering that, I would award the book a rating of nine on ten. 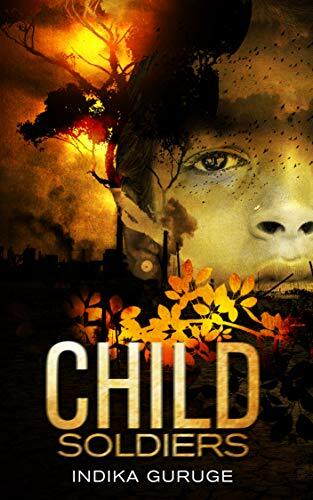 ‘Riza, a young upper-middle class girl from Jaffna, Sri Lanka born during the bloody and brutal 26-year Sri Lankan civil war has her whole world turned upside down when her close family member is killed in the civil war. She didn’t want anything to do with the civil war, but now she was forced to join a side, she had to, even though she was still only a child. The thirst for revenge was too great for her courageous spirit to simply ignore it. Even if it meant saying goodbye to her family she had come to love more than she ever believed possible. The island nation in the Indian Ocean had a gruesome civil war for almost quarter of a century. Over 100,000 people were killed and 800,000 people were displaced, internally or as refugees elsewhere. Heads of state of two countries (Sri Lanka and India) were assassinated. As someone who is from just across the Palk Strait, I could easily relate to the stories from the civil war. Child Soldiers is a fictionalised portrayal of the reality that prevailed in Sri Lanka during the Civil War. The story features an upper middle class Tamil family comprising John, a Colombo based doctor, his wife and two children. The eventual persecution of the Tamils in Colombo and other Sinhalese majority areas of Sri Lanka forced the family to move north in Jaffna. This is a story of how John and his daughter Riza, eventually are radicalised and join the militant separatist movement – the Liberation Tigers of Tamil Eelam (LTTE). The author has paid extreme attention to detail in the story – giving an elaborate background as to what led to the troubles in Sri Lanka. Very little is known about the gruesome war outside of Sri Lanka and in the state of Tamil Nadu in India and the background is needed to appreciate the story. The character of John was built well, a moderate, who was initially against the militants and extreme circumstances made him to eventually give in. Riza was an even more interesting character, well read and someone regarded as the ‘intellectual’ in a class. Her journey from the pacifist to a child soldier and a totally committed LTTE warrior was a highlight of the book. The internal functioning of LTTE was brought out well, including aspects like jealousy and caste / religious consciousness within the ranks. I believe the author could have avoided the use of representative images in the book – the writing seemed so akin to non-fiction that for a while, I thought it was perhaps a real story before I read the initial disclaimer again. While I appreciate that the style gave the feeling of reading the story of a real person, as a reader, I would always prefer to visualise the scene myself and a representative image limits a reader’s thought. While John and Riza were characters with a high level of detail, sufficient attention was not given to any of the others. Under such circumstances, an epilogue stating the fate of every character was unnecessary. This was a war with extreme level of human rights violations from both sides. Persecution from the Sri Lankan Army on the one side, brutal suppression of any opposition by LTTE, not to mention them using children as soldiers. However, what I felt was the most shocking was presence of political and ideological support right across the Palk Strait in Tamil Nadu (India) and an equally alarming is the fact that hardly anything is known about this outside of South Asia. 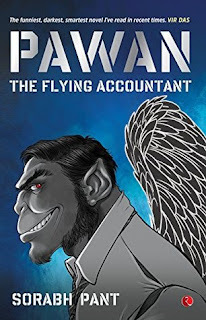 Thus, I feel it is great from the author that an effort has been made to bring out this story and I thoroughly enjoyed reading this story (would have been able to even if I was from outside of South Asia). On that note, I would give the book a rating of seven on ten. ‘We have all been the Crown Prince of a kingdom called childhood. The prince is here the king of a herd of a single sheep. The pilot was invited to draw, after crash landing into the Sahara Desert. 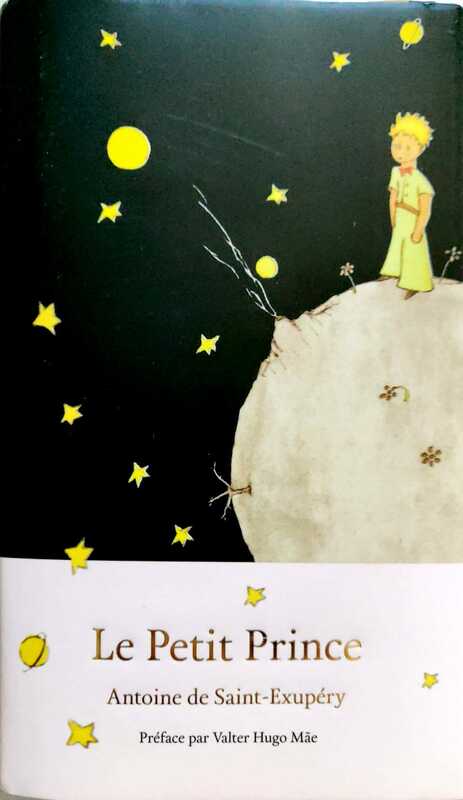 There, The Little Prince and the pilot fly from planet to plant and they meet in every planet a single man who becomes a new citizen of the utopian and imaginary kingdom’. The first time I heard the author’s name was in my old office, where there was a quote on the wall – ‘If you want to build a ship, don't drum up people together to collect wood and don't assign them tasks and work, but rather teach them to long for the endless immensity of the sea.’ I had searched more about the quote and the person and learnt that the book ‘The Little Prince’ by the author was one of the most sold books all over the world. Since I was always interested in learning French in the future, I had decided that when I read it, it would be in French, even though it took nearly five years. So, the story of ‘The Little Prince’ is quite simple. A pilot has crash landed into the Sahara Desert and has just eight days of essential supplies to survive. It was then that the pilot met a little boy whom he preferred to address as ‘The Little Prince’. When the pilot was young, he was extremely interested in drawing but the adults around him found his ideas crazy and bizarre and was thus discouraged. However, when he showed one of his drawings to The Little Prince, to his surprise, the latter had guessed his idea correctly and they start to discuss and develop a bond. The Little Prince talks about his planet and his experiences in travelling various different planets. So, will the pilot be able to survive beyond eight days? Can The Little Prince find a solution to the problems of the pilot? I understand that even the book is meant for young readers, the author also gives his opinions on a lot of pertinent subjects through the story and the character of The Little Prince. The Little Prince had visited a lot of planets, each of them with a single inhabitant, such as a king who only gives orders which are possible to be followed, a man who drinks in order to forget his embarrassment over his drinking problem, etc. as if I reveal any further, it would be like adding spoilers. But I can say this that through this book, the author challenges various ideas of the modern world, such as the way businesses are carried out, the extreme level of self-importance bordering on narcissism, the idea of specialisation, etc. I found these themes interesting regardless of whether I agreed with them or not. The writing style of the author was also simple considering, my French is still not at a near fluent level, I could still understand most of the words without using the dictionary. I also appreciated the fact that I felt the story to be so real even though it was filled with supernatural elements such as aliens, planets with just a single inhabitant, interplanetary travel, etc. However, I don’t accept the idea that the way in which ‘adults’ think is a problem which is a repetitive theme throughout the book and like any other person, I also identified the initial designs of the Pilot to be what it looked like – simple objects like a ‘hat’ and did find the ideas of the pilot a little bizarre and perhaps the only difference would be that I wouldn’t personally discourage a child from pursuing the creativity. I don’t personally believe that being unable to make bizarre guesses to be a problem among adults. To summarise, it is a good read, with a lot of ideas compressed in a rather short story and I found that interesting. I did not agree with a lot of ideas expressed by the author but that is more a problem about me than the book by itself and I personally believe that it is good to read content that I don’t agree with, at times, to escape the vicious circle of confirmation bias. Considering the story, the ideas of the author, the character and the simplicity in writing, I give the book a rating of seven on ten. 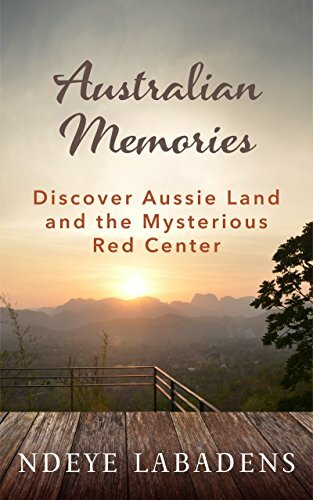 Australian Memories is a novella featuring the memories of the author, Ndèye Labadens during her journey around the country starting from Sydney and covering substantial parts of Northern Territory, Tasmania and a bit a Melbourne. The author adds both a personal element and also tries to suggest from experience to future travellers. The book includes both places she liked and her opinions on the places as well as her own recommendations on what one could do in each of the places she visited – I found it particularly detailed in the case of Tasmania, be it at Launceston or Strahan. The book also had pictures taken by the author during the trip which helped me visualise her experiences further. I enjoyed reading her experiences of the author during her long car drive in the Australian deserts as well as the details of her interactions with the Australian Aboriginals and their music which she had enjoyed. The Ayers Rock / Uluru has always been a place of interest for me and I got good insights on the travel arrangements and one could expect from the place from the book. The book is structured like a personal diary making it very easy to read. However, I felt this was also a flipside to the book. She has covered a large landscape – starting from Sydney, on to Tasmania and then the entire Australian outback and finally Melbourne and when we consider this enormity in locations covered, the book is rather short to capture all of these experiences. There were also occasions where I felt that the author could have been more verbose where I had to fil the gaps with the pictures in the book of the location (like the Queen Victoria’s Building in Sydney). 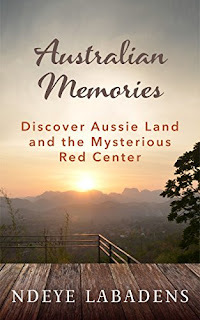 It is certainly a good read for a person who is a travel enthusiast and has a plan of visiting Australia in the short term or sometime in the foreseeable future. This is a start for a person with the intention and I can vouch for the simplicity of the reading considering I read it around 90 minutes during a long bus journey. On these notes, I would give this book a six on ten and I would like to try out the other books of the author.